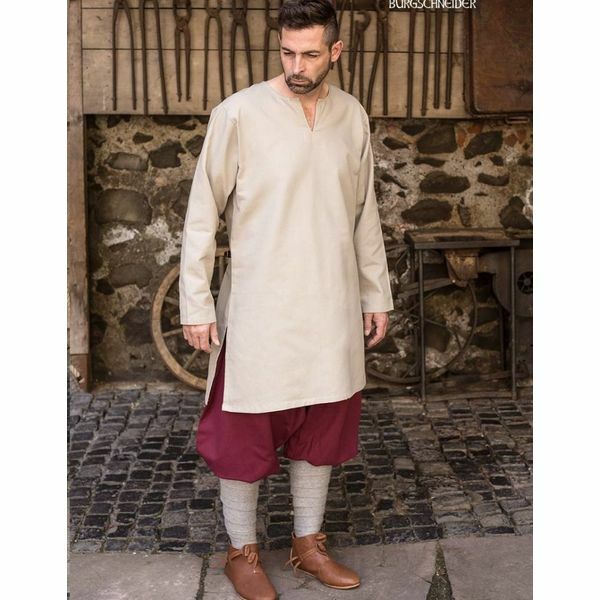 Tunics like this were basic garments worn by men from the Early to Late Middle Ages all over Europe. They can be worn separately or as an undertunic. In cold climates they were combined with trouseres and leg wrappings. 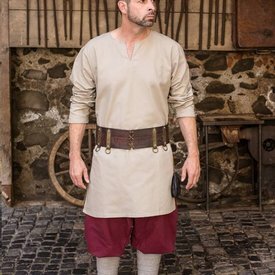 In some eras, the length of the tunic designated the social status of the wearer. 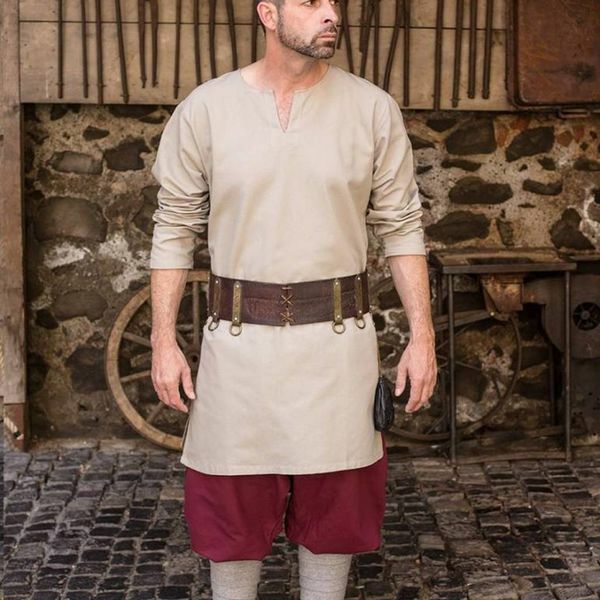 In Ancient Rome, the tunic was worn airy and simple with a basic design. 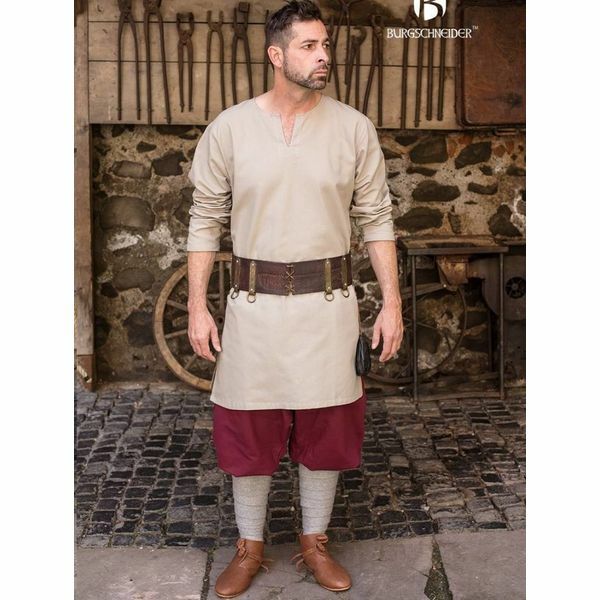 The Vikings and Germanic people wore their tunic less airy, with an undertunic, long sleeves, trousers and leg wrappings against the cold.